Hope you are in the pink of health. I am fine too, but one of my readers whose name is Rashida Abdulhussein, is not well at all. She is a resident of Canada and mailed me a few days back informing me of her ill health. She is suffering from a complex systemic problem which has given rise to a number of ailments which are refusing to go away. Above all, she does not have anyone to take care of her since she stays alone. Her children do not stay with her and they are very busy with themselves. Rashida has helped me a lot with the editing of my e-book ‘Cure Yourself – Secret Remedies and Wonder Foods’ and was very involved with the development process. She has also written a short bio about herself, as a guest writer, in my blog. I am reproducing her last email, as it is, for you to see. i know u have been thinking of me coz i have been thinking of u too…. just that i have not been able tokeep in touch, not only with you, but other friends too…. continue to pray for me please, and hope to hear from you soon! Shall we all pray for her? I believe that there is great power in prayer and if we all pray for her, then the combined effect is bound to have a positive effect, don’t you think? 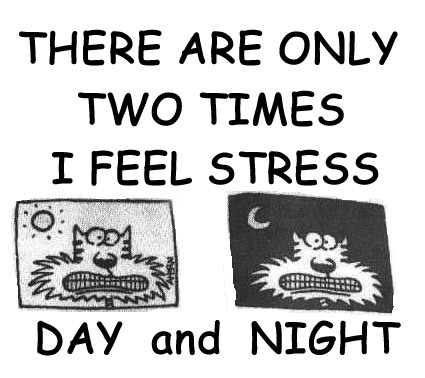 Being able to manage stress efficiently is among the best life-skills you can possess. If you possess effective stress management skills, you’ll enjoy a better quality of life and keep yourself healthy, even if it’s knowing how to cope with financial stress or having to handle the loss of loved ones, a marital split, relocation and stress with your job. It can take a while to acquire the skills for dealing with stress efficiently but here comes three simple, highly-effective stress management tips that will enable you to reduce stress and anxiety quickly. 1. Keep An Eye On The Plates – When you’re in the middle of coping with a stressful event, it is crucial to not add to the stress and take on more pressure. Adding to an already full plate will merely increase the pressure and stress levels will soar making it much more difficult to remain in control of events. Think of it like spinning plates. As more and more plates are added, it becomes harder to keep each one spinning enough and plates start to fall to the ground and smash! Give your attention to that which has to be done and resist the urge to add to the pressure. Imperative: Only decide to proceed with any life-changing decisions when you have stress or anxiety or depression thoroughly in check. 2. Indecision – Indecision is, without doubt, a contributor to stress and depression. It is an issue because hesitating about a decision draws out uncertainty. Dealing with uncertainty is very difficult if you are highly stressed, anxious or in a depressive episode. So, not only is it important to make a decision, it’s also crucial that once you have made a decision, you go through with it. What techniques are useful to help with decision making? Copy each alternative onto a sheet of paper divided into 2 columns, one for the plus points, one for the minuses. Share responsibilities and obtain different points of view by consulting with family or good friends. Don’t rush, take your time, as much as you need to ensure you have all the facts. Once you feel ready, make your choice and follow it through. No looking back, just focus on making your decision work. Bear in mind that if you always looked behind you when you’re walking, you’d crash into things. Look forwards, not backwards and use this stress management technique with the next tip. 3. CrossOver Time – The one constant throughout life is change and as situations change – for example, relationship breakdown or losing a loved one – stress can be triggered and it is possible to enter into anxiety or depression. Expecting to adapt to your new circumstances right from the off is at the root of this because it puts a great strain on you. At such times, you can feel awkward and unsettled, and you can even start to feel like things have changed for the worse. Allowing yourself plenty of crossover time is an excellent stress management technique to help you handle major changes to your circumstances. You’ll reduce stress significantly if you recognize that adapting to new situations can take a while and allocate enough crossover time so you keep stress and its related illness at bay. Put each one of these effective stress management tips into action and they will help you to effectively handle the stress triggered by a change to your circumstances. To discover more powerful, highly-effective stress management tips, techniques and methods to help you relieve stress, anxiety and depression quickly, naturally and permanently. Gluten is the common term for a group of proteins found in wheat, rye, barley, and grains derived from them or having different names like triticale, durum, kamut, semolina, and spelt. Grains are so common in our diet that gluten is second only to sugar as our most commonly consumed ingredient. The digestive system is the set of organs that digest food and absorb the important nutrients the body needs to stay healthy and grow. One important part of the digestive system is the small intestine, which is lined with millions of microscopic, finger-like projections called villi. Nutrients are absorbed into the body through the villi. People who have celiac disease have a disorder that makes their bodies react to gluten. When they eat gluten, an immune system reaction to the protein gradually damages the villi in the small intestine. When the villi are damaged, the body is unable to absorb the vitamins, minerals, and other nutrients it needs to stay healthy. People with celiac disease are therefore at risk of malnutrition and can develop anemia or osteoporosis. The body’s inability to absorb nutrients can also mean that young people with untreated celiac disease may not grow properly and may have weight loss and fatigue. In addition, people who have celiac disease may be prone to developing other diseases, such as thyroid disease, type 1 diabetes, and gastrointestinal cancer. Experts don’t know exactly why people get celiac disease, which is also called gluten intolerance, celiac sprue, nontropical sprue, or gluten-sensitive enteropathy. The disease has some genetic background, which means that it may run in families. Just like eye or hair color, people inherit the genes that make them more likely to get celiac disease from their parents and grandparents. If an immediate family member (such as a parent or a sibling) has celiac disease, there’s about a 5% to 10% chance that you could have it, too. Celiac disease affects people of all heritages and backgrounds. It is estimated that 1 in 133 people in the United States has the condition, although many don’t know that they do. It’s important to diagnose celiac disease early before it causes damage to the intestine. But because it’s easy to confuse the symptoms with other intestinal disorders, such as irritable bowel syndrome or lactose intolerance, teens with celiac disease may not know they have it. Some common symptoms of celiac disease are diarrhea, abdominal pain and bloating, and weight loss. Someone with the disease may feel tired and could be irritable or depressed. Some have skin rashes and mouth sores. Teens with undiagnosed celiac disease may go through puberty late. Someone might not show any symptoms until going through an emotionally or physically stressful event, such as going away to college, illness, or an injury or pregnancy. Once celiac disease is diagnosed, a doctor will help treat it. Although there is no cure, celiac disease can be managed successfully by following a gluten-free diet. People with celiac disease need to follow this diet for life. Because gluten can be found in everything from breakfast cereals to prepared luncheon meals, they need to be very aware of what’s in the foods they eat. If you’ve been diagnosed with celiac disease, a doctor or dietitian who specializes in celiac disease can help you develop an eating plan that works with your lifestyle. Luckily, the small intestine can heal. Although this process may take up to a year, many people start to feel better after just a few days on a gluten-free diet. But feeling better doesn’t mean that people with celiac disease can resume eating foods containing gluten. Because the genes that cause the disease are present in the body and the immune system continues to react to gluten, the symptoms and problems will return if someone with celiac disease starts eating gluten again. The good news about celiac disease is that most of the delicious and yummy foods, including birthday cake and pizza, can be prepared without gluten. So if you have celiac disease, you can still find ways to enjoy most of your favorite foods — you just need to do some research and be aware of what’s in the foods you eat. Learn to read labels to find out if a food contains gluten. Learn which foods are gluten free. Find alternatives to wheat, barley, and rye flours and other gluten-containing grain ingredients for your recipes. Find a support group where you and other people with the condition can share up-to-date information. While the law requires the labeling of wheat-free products, be aware that “wheat free” doesn’t necessarily mean “gluten free,” as wheat-free products may have barley and rye (gluten-containing grains) in them. Most grocery stores carry few gluten-free products these days. You may be able to find gluten-free bread, cereal, baking mixes, cookies, and crackers at your local market. For a wider selection, make a trip to a health food store. Be aware that lots of natural markets and health-food stores keep foods in bulk bins. It’s not a good idea to use even gluten-free products from these bins because the risk of cross contamination is very high. Many specialty shops online also sell a range of gluten-free products, such as bread, pizza crusts, and pastas. Many regular and online shops even sell gluten-free flour blends that you can use to make your own pancakes and waffles, pizza dough, cookies, and brownies. Eating a gluten-free diet is a lifelong commitment. But if you have celiac disease, you are not alone. 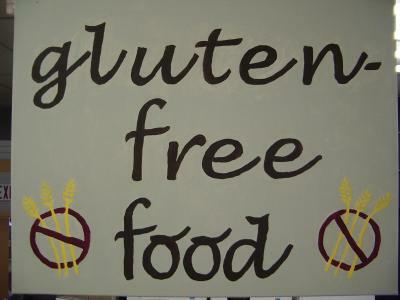 Lots of support groups, cookbooks, and websites are dedicated to living a gluten-free life. To make sure you always have the most current and accurate information, consider joining one of the national celiac organizations. There are even gluten-free summer camps and special support groups just for kids and teens. Grab the e-book where every recipe is completely gluten-free, sugar-free (except fruit), digestion-friendly, allergy-friendly and low glycemic with meat, poultry, fish meals and tree-nut-free, dairy-free, vegan and vegetarian options for most recipes. Watching Angelina Jolie down a tall glass of strawberry milk, Jessica Alba relish a piece of sinful dark chocolate and closer home, size zero Kareena Kapoor lick her fingers after finishing her eighth meal of the day makes you wonder, where does the food go? Are they all blessed with a high metabolic rate? Do they invest millions in body shapers? Are they bulimic? Or do they live on their treadmills? The reality bite? They eat and they eat right. Blueberries: Not only are they a rich source of antioxidants but also reduce ageing and help in keeping off abdominal fat. Asparagus: Being a natural diuretic, it helps to shed water weight. Asparagus also contains phytochemical glutathione, which has antioxidants and cancer preventing properties. Apples: Rich in fibre, they keep you satisfied for longer, which is the key to maintaining a healthy weight. Eggs: High in proteins, eggs are good for long lustrous hair. Being a good source of Vitamin B12, they help break down fat too. Yoghurt: A rich source of good bacteria, it strengthens and stabilises the immune system. These probiotics can also work in our bodies to benefit our complexions, leaving the skin softer, smoother and less prone to breakouts. Green tea: Aids digestion, detoxifies the body, making the skin glow. It also helps burn calories. Salmon: A rich source of Omega 3 fatty acids that help burn fat and add glow to the skin. Salmon contains astaxanthin, a carotenoid that improves skin elasticity, so you’ll have fewer fine lines. Cabbage: Contains cancer fighting goodness like chemical sulforaphane and phytonutrients which act to prevent damage to cell membranes from free radicals and is excellent for detoxification. Dried plums: Great for digestive health, they also keep the heart healthy, reducing cholesterol levels. Plums contain potassium, magnesium and boron which regulate blood sugar levels and reduce wrinkles. Beets: The natural yellow or betacyanin and the purple or betaxanthin of the beets are pigments that are potent phyto-chemicals and antioxidants fantastic for protecting from the damage that free radicals can cause to the body. Pomegranate juice: Loaded with antioxidants, it is also said to destroy breast cancer cells, halt the development of lung cancer and lower the risk of blood pressure. Papaya: Beneficial for skincare and repair, it can be used to eliminate old dead skin cells, dandruff and other skin disorders and even reduce signs of premature ageing. Cinnamon: Reduces cholesterol levels in the body and regulates blood sugar, making it extremely beneficial for those with type 2 diabetes. Sardines: Contain Omega 3 fatty acids that aid brain function and calcium and Vitamin D for strong bones. Pumpkin seeds: Said to be the most nutritious part of the pumpkin, they contain high levels of magnesium which is good for general well being. They also contain L- tryptophan, a compound that acts naturally against depression. Turmeric: Helps in digestion and contains anti-inflammatory and anti-cancer properties. It also acts as a great antioxidant. Almonds: High in alpha linoleic acid, they can speed up the metabolism of fat as they contain good fat. Almonds are an excellent source of the skin loving antioxidant Vitamin E, providing 35 per cent of the required daily value. Soyabeans: Contains choline which breaks down fatty deposits and blocks fat absorption. Milk: Being rich in potassium, vitamins, calcium and protein, milk helps make the bones stronger. It’s external application leads to healthy skin and shiny hair. Dark chocolate: Full of antioxidants, it also reduces signs of premature ageing and is being used in skin treatments worldwide. Strawberries: Used topically in traditional medicine to treat burns and other skin irritations due to their astringent and anti-inflammatory properties. Chili: Capsaican, the chemical that makes chili so spicy, improves the body’s ability to clear insulin from the blood stream leading to increased fat burn after the meal. Cherry: The iron content in cherry is 20 times higher than that in apples or oranges. It promotes the formation of haemoglobin. Bean sprouts: Rich source of proteins, vitamins, minerals and fibres. They can prevent freckles and dark spots. Avocados: A good source of biotin, avocados help to prevent dry skin and brittle hair and nails. When applied topically, they hydrate parched skin. Tomatoes: Besides being a great source of the antioxidant lycopene, tomatoes are considered a highcarotenoid fruit. These nutrients may help slow down cellular damage from free radicals. Walnuts: Walnuts are a rich source of Omega-3 fatty acids, which help put shine in your hair, aid in making skin smoother and younger. Beans: Legumes help repair cells that have suffered free radical damage. During digestion, protein breaks down into amino acids, which help to speed the repair and regeneration of skin cells and collagen. Mushrooms: Great for skin, they have anti-ageing properties and also boost hormone secretion in women. Carrots: Rich source of Vitamin A, which is essential for good skin. They also improve eyesight. P.S. :- While I was looking for info to write the above article I stumbled upon a great e-book where you would get to know everything that you ever wished to know about weight reducing diets. You shall come across a great deal of amazing facts which shall make you realize that it is not at all necessary to starve yourself to get that fabulous body. 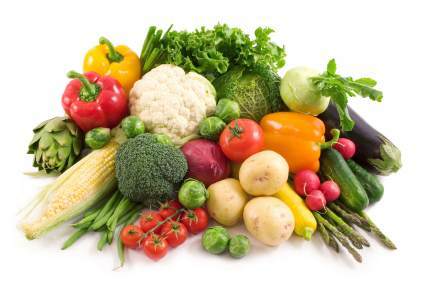 You just have to be aware of what to eat which shall make you lose a huge amount of weight beyond your wildest imagination. Watch the video with patience, it is extremely informative. And then do not waste time to grab the e-book. This blog is my humble attempt to make a positive difference in my own small way. www.Indian-Cooking.Info · Everything about healthy cooking, food and lifestyle.